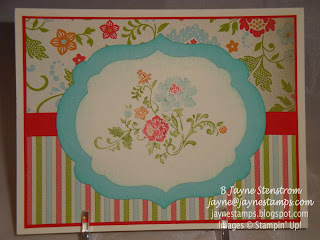 ~ ~ ~Jayne Stamps ~ ~ ~: Are you Sale-a-Brating Yet? So have you seen the new Sale-a-Bration products - and have you fallen in love with them? Right now I think it would be very difficult for me to pick a favorite SAB item. I love them all! 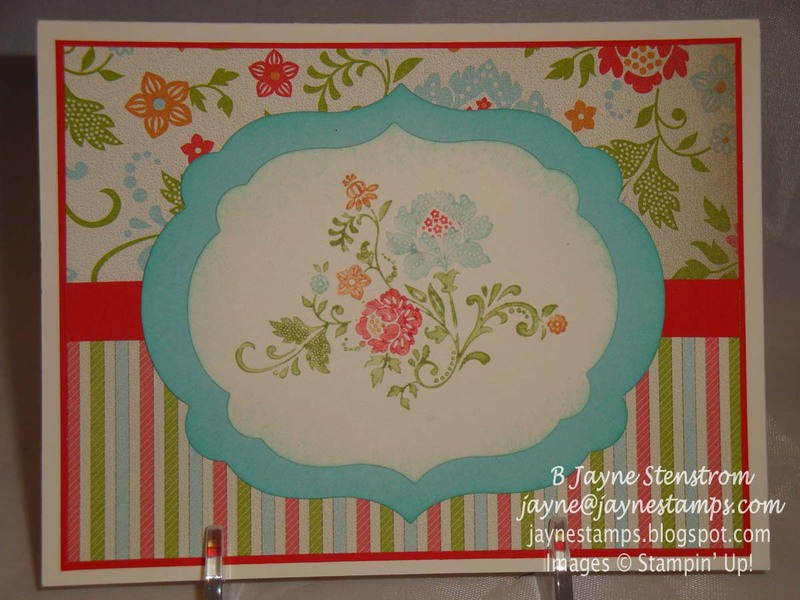 I have a couple of cards to show you today that I made recently. 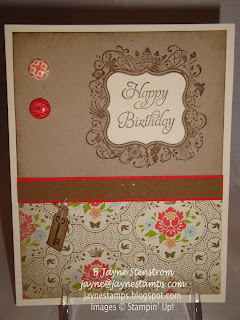 The first one uses the Fresh Vintage SAB stamp set along with the Everyday Enchantment SAB Designer Series Paper pack. After I colored the main image with markers, I used the labels Collection Framelits Dies to cut it out. I tried to match the flowers to the DSP. I was pleased with how it came out. What do you think? 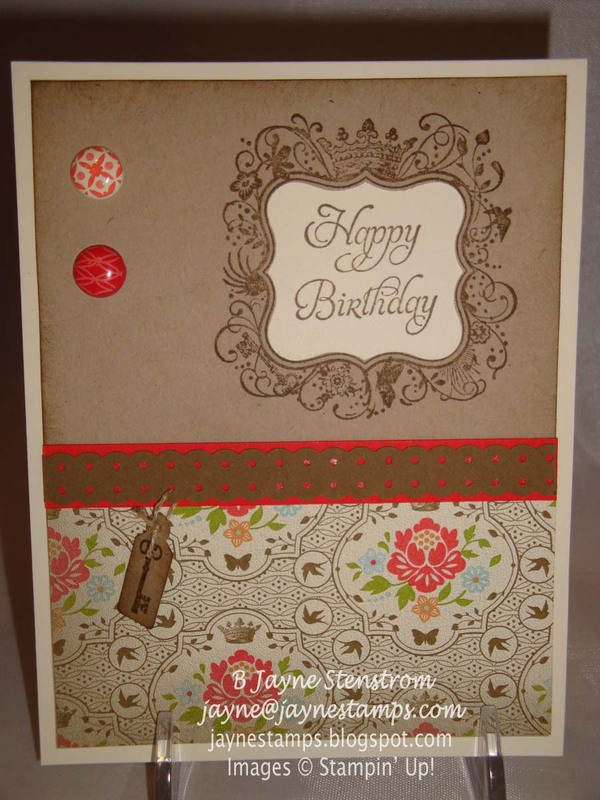 The second card also uses the same Designer Series Paper, but I used the Elementary Elegance SAB stamp set and the Everyday Enchantment brads. They are SO cute! I love the designs on them. Remember all of the amazing deals that we offer during Sale-a-Bration! There's a special offer for every customer and hostess, and also anyone who might be thinking about joining Stampin' Up! It's a great way to support your habit, earn a little extra money, or make a full-time job. It's all about what YOU want to do. I'd love to have you join me and my group and join the fun that we have! Contact me if you have questions - I'll be happy to answer them anytime!